People blog for all sorts of reasons. Some want to express opinions, others want to share their experiences, some want to build connections, others want to make a name for themselves. Pharmacists are no different in wanting their voices to be represented, and thus it comes as no surprise that the blogosphere is replete with posts by those with pharmacy degrees, composed with the same motivations that drive so many bloggers. But their knowledge in a certain area, individual experiences, connections with the ever-changing field of healthcare, and ongoing interactions with an at-times-demanding public qualify pharmacists to compose posts that are unique, insightful, sometimes angry, and at times side-splittingly funny. 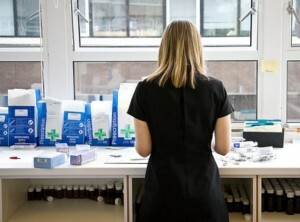 "pharmacy related blogs give first hand knowledge of the inner workings of the pharmacy side of the healthcare system. Pharmacy bloggers can relate the shortcomings and frustrations of pharmacy first hand because we are a part of it and know what is going on at the micro level. But we can also highlight important issues and even describe the positives related to pharmacy and not simply all of the negatives." So let's take a look at some of the best pharmacists' blogs currently active, those that describe the positive and those that harp on the negative, the ones that share a litany of frustrations and those that address the important issues health issues of our time. And those that do it all, seemingly effortlessly, week after week. Blogs are selected for quality of writing, insight into the field of pharmacy, influence and popularity. Why not start with Pharmacist's Place ? The tagline tells us that this will be "A site to discuss issues facing the pharmacy profession and reflect on my experiences as a pharmacist." Blogger Joey Mattingly, a pharmacy manager in Louisville, Kentucky, shares his experiences working in retail pharmacy. His writing runs the gamut of topics, but is always personal, non-critical, and descriptive of what it's like in the pharmacy business. You could happen on posts as diverse as the disconnect between community and hospital pharmacists, what it's like training staff at the pharmacy in a busy Kentucky store, or just random interesting experiences Mattingly has had filling on in different shifts. It’s a gentle but engaging blog. Called by some in the field "The Andy Rooney of Pharmacy," Jim Plagakis titles his site Pharmacy. Jim Plagakis, Pharmacist. It's a more interesting site visually than Mattingly's, with greater promotional leanings, as well, even if they're not too well carried off. You'll find, prominently displayed, the banner JP's books at Lulu.com--but you won't find the books by Plagakis there. It's a bit inexplicable on a blog that is overall well-done and timely, named by AccessRx as one of the top 9 most influential pharmaceutical blogs. The language is salty, and Plagakis is loyal to pharmacists first and foremost, often at the expense of actual pharmacies. He calls out big chains like CVS and Rite Aid repeatedly, championing the rights of those who work behind the pharmacy counter. Our old friend The Redheaded Pharmacist has a tagline that informs us the blog will share, the "rants and musings of a retail pharmacist." With a Monday-Thursday posting schedule and a name he never reveals, the blogger shares that he's been working full-time in retail pharmacy for over a decade and has, as he puts it, "seen a lot." His posts, begun in December 2009, are a smorgasbord of stories from his own experiences as a pharmacist, plus the occasional foray into current events that impact "the world of pharmacy." "But if you step back and look at how complicated and demanding the job of pharmacist has become, one can’t help but wonder if we can continue to function at a level that ensures patients are safe and mistakes are minimized. Can pharmacists maintain their ability to check for interactions or proper dosing in an era where we have just a couple of minutes devoted to one prescription?" It is questions like these--and his best efforts to struggle with answers--that make The Redheaded Pharmacist’s blog timely and compelling reading--for pharmacist and non-pharmacist alike. From one hair color to another, The Blonde Pharmacist writes that the purpose of her blog is to help people become more informed about healthcare. On her home page she writes facts readers ought to know about pharmacists, and the final one is particularly intriguing. Says Miss Blondie, "Retail pharmacists make a lot of money comparatively. They also are treated like a fastfood worker." Some of this frustration comes through in the posts, but there's a lot of actual pharmacists' knowledge in each piece, too, even in the ones that might be a bit gossipy, making reading her thoughts and opinions a learning experience. Writing in "Ambien and _______ Do Not Mix" about Kerry Kennedy's little driving incident with Ambien (zolpidem), she comes down firmly on the side of not driving after taking the pill, but in reading the piece you'll learn that "peak medication effects of the immediate-release tablet occur within 90 minutes of a single oral dosage. In single-dose studies in subjects administered 5 mg and 10 mg zolpidem, the mean peak concentrations (Cmax) were 59 (range: 29—113) and 121 (range: 58—272) ng/ml, respectively, occurring at a mean time (Tmax) of 1.6 hours for both strengths." And when she writes about the high level of whooping cough in the U.S., commenting as she often does on current event pieces related to pharmacy, she clarifies for us that whooping cough is called Pertussis, and is caused by the bacteria Bordetella pertussis. Her points are interesting, she quotes her sources, her knowledge-base is broad, and the posts are generally short, timely, and easy-to-read. In a more personal vein, Confessions of a young pharmacist gives a homey feel right away, as the first picture you see on the blog is of the blogger's infant daughter lying on a satiny pink quilt with a (quite unnecessary) red bow on her bald head. Yes, he's young, as his tagline reads, somewhat choppily "Tales from the pharmacy. What a young pharmacist feels about his career. From the work to the people. The true side of pharmacy." The blog is written in a homespun, folksy voice, about information directly relevant to pharmacists. For example, his last post is "True Figures - The Cost of Pharmacy School." Really, in the trenches, it doesn't get more useful than that. His posting has been sporadic, with the excellent one on the cost of pharmacy school from June 15, 2012, and the previous post dating from December, 2011. But the blog is pragmatic, addresses timely topics and is tinged with a healthy dose of skepticism when it comes to 'miracle cures' (the December piece bursts the bubble of HCG diet claims). With a totally different approach, The Pharmacy Business Advice Blog addresses the requisite background plus the desired promotional strategies for those who wish to open their own places. The blog advertises itself as being a "Pharmacy Development Blog [that] covers all of independent pharmacy business growth - Marketing, Management, Employee and Business Development, Personal Development, Social Media and Finance.. . .This is the Independent Pharmacy Blog about Business." And it is not angry, folksy, or filled with attitude--it's just chock-full of practical wisdom for those ready to take this step. There are pieces on transforming your pharmacy marketing approach, how to lead so people will follow (including: have charisma, challenge the status quo, and understand people), and some challenging pieces about questioning the value of the service you provide (one is called "If you went out of business tomorrow, who would miss your independent pharmacy?"). Written more like a business blog than like many of the chatty, friendly ones done by so many pharmacists, it offers experiential, hands-on advice for the pharmacist ready to fly solo. In doing so it fills an important niche in the world of pharmacy blogging—although, to be honest, it isn’t as fun to read as some of the other, more personal ones. Apothecary Tales: Pharmacy Awesomeness sets the tenor of the blog right away as, under the blog's title it says, "Welcome to Apothecary Tales! Legendary stories of a laid-back, sword-wielding, way too handsome to be behind a counter, retail...er...Community Pharmacist." The pieces are down-to-earth, amusing, not vitriol-filled, and written with a self-deprecating humor that makes them fun reads for anyone who enjoys witty writing. In fact, you may never have realized tales of a retail pharmacist could be so funny. One caveat--the language is enough to earn it a spam-filter, so I certainly wouldn't peruse it with children--or anyone with delicate sensitivities. The piece "I Have A Smart Phone!!!" about what it's like talking to people who call the pharmacy for help and spend the time screaming at their kids to be quiet is almost comic genius--but has enough f-bombs to keep his writing tied to certain niche readers. If you're up for the language assault, though, it is a funny piece, in which you can imagine what's going on at the other end of your phone line as you dither about your symptoms and what you might need--or might not. "WHEN I PICK UP THE PHONE I SAY, "PHARMACY, HOW MAY I HELP YOU?" Do NOT be silent for more than 2 seconds, I WILL HANG UP ON YOU! Do NOT have the first words you say, "Is my prescription ready? "...WHO ARE YOU? GIVE ME A NAME? I give you 2 seconds to continue your sentence and if no name is mentioned I HANG UP ON YOU! Do NOT tell me to HOLD ON as soon as I pick up... cause guess what? I WILL HANG UP ON YOU! Do NOT ask me if I have Maxwell House Coffee on sale today...not my f****** job! I WILL HANG UP ON YOU! Do NOT call me and ask for the phone number at the pharmacy down the road I WILL HANG UP ON YOU! Do NOT call me asking for cash prices on #180 Oxycodone 30mg, I WILL KEEP YOU ON HOLD FOR 5 MINUTES! and then HANG UP ON YOU! Basically what I am trying to say is, DONT CALL ME!" Makes ME think twice about who's on the other end of the line when I make that call to CVS--although I never ask about sales on coffee, to my credit, when I call my pharmacist. In fact, it seems like pharmacists have more than their fair share number of ranters and ravers when it comes to blogging. 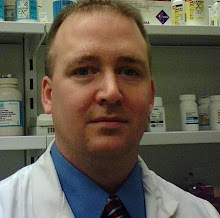 One of the best-known pharmacy blogs is called (for real) The Angry Pharmacist. "While the world of pharmacy is not always perfect, I would like to focus on the positive aspects of the profession and the bright future I believe it holds. Maybe one day this site will provide the public with a better view of pharmacy than the one typically depicted on TheAngryPharmacist." "I really wish you could see it from my perspective, getting paid $5 over the cost of the medication only to be screamed at because you don’t feel you should have to pay your share of the cost that equates to about a 97% discount for you. I wish you could see yourself acting like a spoiled child who didn’t get brand name frosted flakes because your mother is on a tight budget. In fact, I wish your mother slapped some manners and common courtesy into you growing up." AccessRx explains the high rating it gave it in that it enjoys its "raw, sometimes hostile, definitely not safe for work, but always, always funny look at how pharmacists feel about their worst customers and some of the quirks in the American medical system." It also points out that you'll never quite view your pharmacist the same way--and, after spending some time with this blog, I agree that that's a safe bet. In case you were starting to get the idea that Your Pharmacist May Hate You, never fear, for there's a blog to say that just might be so. This blog purports to be "The answer as to why your prescription takes so damn long to fill....and evidence of how drugstore workday life warps the mind." Calling himself, "DrugMonkey, Master of Pharmacy," the blogger's tales of life in--and temporarily out of, due to a jobless period--retail pharmacy are relentlessly witty, and from the steady stream of comments he gets, they strike a chord with readers. In attempting to answer why, indeed, it is that it takes so long to get your prescription filled, he is so side-splittingly funny that I encourage you to read the entire piece, of which I've included just a bit here (copied verbatim--he's a little lax on apostrophes). "You come to the counter. I am on the phone with a drunk dude who wants the phone number to the grocery store next door. After I instruct him on the virtues of 411, you tell me your doctor was to phone in your prescription to me. Your doctor hasn't, and you're unwilling to wait until he does. Being in a generous mood, I call your doctors office and am put on hold for 5 minutes, then informed that your prescription was phoned in to my competitor on the other side of town. Phoning the competitor, I am immediately put on hold for 5 minutes before speaking to a clerk, who puts me back on hold to wait for the pharmacist. Your prescription is then transferred to me, and now I have to get the 2 phone calls that have been put on hold while this was being done. Now I return to the counter to ask if we've ever filled prescriptions for you before. For some reason, you think that "for you" means "for your cousin" and you answer my question with a "yes", whereupon I go the computer and see you are not on file." Even his pieces on 'Tales of the Jobless Life,' when he's not actually working pharmacy--although desperately trying to do so again--have a wit and humor and engaging reading style that make them fun to read even for the non-pharmacists among us. "THERE ARE A LOT OF PHARMACIST-WRITTEN SITES OUT THERE THAT RANT ABOUT THE ISSUES WE FACE AS PHARMACISTS. SITES THAT HATE ON THE PATIENTS, INSURANCE COMPANIES, ETC. THIS BLOG IS GOING TO BE A LITTLE DIFFERENT. I'M GOING TO TRY TO ADDRESS ISSUES THAT WE FACE AS PHARMACISTS, BUT OFFER SOLUTIONS AND INSIGHTS INSTEAD OF COMPLAINING...TOO MUCH." His distance from his own emotions and upset sets his blog apart from many of the others--although it makes it somewhat of a drier read, too. Eric Durbin moved on after 16 years as a community pharmacist to become pharmacy director at a critical access hospital, and he found that the issues a pharmacist faces are the same no matter where he works. We get a good dose of his positivity and anti-rant approach to blogging when he writes of his one-year anniversary at the hospital, "After 16 years behind the counter I have spent the last twelve months behind a desk and have loved every minute of it." Certainly there's more vitriol and anger out there, to be sure, to make Eric crazy, but all of it just makes Love Being a Pharmacist both touching--and almost a bit Pollyana-ish. This blogger starts off by explaining that he's a "20+ veteran of the pharmacy profession and I still love my job." And he'd like to share that love and enthusiasm: " My purpose for starting this blog is to encourage my colleagues, empathize with their woes and inspire the next generation." That is pretty inspiring, even if it's a world away from the humor that comes with the angrier posts above. He exudes positivity, as in his most recent post "What Keeps Me Young," he explains how much he loves working with young pharmacists--oh, and old ones, too. "One of the things I love most about my job is working with young people. Invariably, the technicians I hire are young, very young. Most of the time they are working as a technician while in school or while trying to decide what to do with their lives. (I know, and work with some technicians who are "seasoned" and I love working with them as well, but I'm not addressing them right now.)" His posts bring up his concerns for the safety of pharmacists in general (are they safe delivering the shingles or chicken pox vaccines? ), worries about what will happen to job security as pharmacy positions decrease, and about what happens to the pharmacists who won't sell the cold medicines to people they know are mis-using it, as they are forced to take flack for making customers angry. She writes brief posts, lacking the epithets of some other blogs, but also the wit. Due to that this seems more of a pharmacist's pharmacy blog, as recent topics include frustration about similarity among drug packaging, a discussion of a hostile takeover of her pharmacy, her upset with the waste of medication (in the millions of pounds range) in the South East of Essex every year, and complaints about the burden of unreimbursed travel costs. Her work hasn't drawn the attention in comments that some of the previous blogs have done, and she’s spotty in terms of a posting schedule, but her material is interesting, timely and relevant, she has a sincere voice, and her topics speak to pharmacists on both sides of the Pond. Back in America there's FAST FOOD Pharmacy. 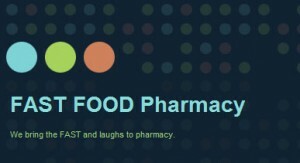 The multiple bloggers who contribute to this one write that they "bring the FAST and laughs to pharmacy," and there are a lot of laughs in this one (once again replete with swear words), all based on the actual day-to-day integrations of retail pharmacists. One witty piece explains the reason I Still Hate F****** Coupons, which does give you a new outlook on the items, and their take on who will be rejected when trying to buy Sudafed just says it like it is. "I can guess with 95% accuracy which IDs are going to reject. Such stereotypes are: . . ."black lady with scabby face and dazed look, white lady scabby and bruised [will probably also want a 10 day supply of insulin syringes for her grandma/cat/friend's dog], older black guy with bluetooth earpiece in and currently conversing to make sure he has the right package size/product, white guy/girl that is unsure and has to go out to the car or another person in the aisle to confirm desired product size/contents, emaciated young female wearing stupid sparkly clothing/eye makeup/smells of weed/already F***** up on something or another, dirty fingernail girl with dirty fingernail boyfriend both buying same product usually replete with stupid tattoos, homeless looking guy/girl with relatively new ID and exact amount of cash, guy that opens wallet with multiple different state IDs, guy/girl with ID from a municipality 2 or more hour drive away." He finds wit and humor--along with a fair bit of frustration--in the absurdities that are part and parcel of life in in the pharmacy industry. Speaking of absurd, there's last refills, which is nothing if not quirky, as we grasp immediately when reading the byline, which reads, in full, as follows: "Blog Announcer: [clears his throat] Attention. This a pharmacy blog. Follow the zany antics of our has-been pharmacist as he counts and pours his way along the front lines, counseling as irate – [chuckles] Blog Announcer: counseling as irate customers burst around him; snatching laughs and love between prior authorizations and penicillin. Colonel Blake: [Watches as a jeep rolls away] Did Refills steal that jeep? Radar: No, sir. That's the one he came in." You can get a feel of his narrative thrust by reading the first paragraph of any random post. Try "The old cashier gripped the glass coffee pot as though she was an angry wife swinging a rolling pin. Every morning she would enter the pharmacy’s bathroom, taking the glass coffee pot with her, and 20 minutes later she emerged with a pot full of cloudy water. Annie, the store manager, held her breath as Emily proceeded to pour this into the coffee maker." See if you don't feel more like you're in a novel than in a blog. With lots of line spacing, good plotting, and witty dialogue, the blog really feels more like an interwoven set of short stories that eventually come back 'round to the topic of pharmacy than like a blog with a mean mission. However, the 'stories,' if you read them through, do always have some moral for the man or woman behind the drug counter--and bring the pharmacist's experience to life for the non-pharmacist, as well. The Pharmacy Chick has a bit of the narrative tenor of last refills, although the pieces are much shorter, and the dialogue gets cut, so the posts feel less like part of a screenplay. Written by a veteran pharmacist of 22 years who's currently in retail pharmacy in the Western United States, the topics are practical and the blog addresses important issues (although there's no spicy writing, for those of you who have grown attached to the wit and profanity of some of the earlier blogs). A recent post is "Prudent prescribing or overdone? Should ALL discomfort be treated like this?," which asks the highly relevant question about whether we as a culture overprescribe heavy-duty pain medicine. She does a nice job addressing the Obama healthcare plan from both a personal perspective and a pharmacist's one. And her post on "Putting someone in their place" addresses the almost existential question of who we are when we're not in our societal or professional roles. There's a human side to the blog, too, as PC writes about her love of her husband, dogs, and playing golf. She does always manage to tie these personal asides back in to pharmacy, though. In one about her love for her dog, the dog manages to get sick, requiring PC's knowledge as she deals with the vet. (How many of us refer to our pet's illnesses as 'Hemorrhagic Gastroenteritis'? I'm guessing only someone firmly entrenched the healthcare field). Pharmacy Times is an online publication that offers advice and guidance for pharmacists and pharmacy students. It has continuing education courses, career guidance, online-only articles, digital version of print articles--the works. It also has a few blogs under its domain, which are nicely done. Both Eric, Pharmacist and Redheaded Pharmacist are syndicated here, but there are additional ones as well, including one by the Editor-in-Chief of Pharmacy Times, Fred Eckel. The purpose of Eckel's blogs is to "provide commentary on relevant issues impacting pharmacists and pharmacy professionals." And although it's rather dry and, well, professional, in comparison to some of the other blogs we've reviewed, it does competently cover a number of highly relevant topics, from converting prescription drugs to over-the-counter, opioid abuse, and legislative issues that impact pharmacists. Eckel addresses timely issues, head-on, in a matter-of-fact (and epithet-free) tone. His short, pithy pieces have addressed e-prescribing, the need to control doctors who dispense meds from their office for double pharmacy prices, and how U.S. healthcare stacks up against other countries. The blog is fairly academic and not at all juice, but definitely has a lot to say about issues relating to pharmacists' and is a change of pace from those blogs that are mostly about personal experience. Another Pharmacy Times blog, For The Record, focuses, according to author Darshan Kulkarni, pharmacist and attorney based in Philadelphia, on "informing pharmacists about how the drugs that they dispense came to be in their hands—including the ethics, the arguments, the laws, and the drama." He covers drug development, FDA regulations, pharmaceutical advertising and more, running a gamut of topics applicable to almost every pharmacist. This blog, too, has more of a dry writing style, lacking the narrative flair and wit of many of the earlier posts, but the pieces do deal with issues on pharmacists' minds, as he addressed in 2011 the possibility of an OTC Lipitor, provided some practical ways of handling a drug shortage crisis, and dealt head on with a question we've heard before in this blogosphere: Should pharmacists be given expanded prescribing powers? Kulkarni doesn't post too frequently, but when he does, it's sure to be worth reading. mrdispenser is a community pharmacist from England with a bit more charm than the Pharmacy Times bloggers, and he's not much of a ranter, either. He says of himself, "I love pharmacy and am not ashamed to admit it." Some of his posts are more peripheral to the field than a number of the other blogs, but are engaging and draw the reader in nonetheless. For example, there's his "Nobody Panic," which shares pharmacists' code words and phrases to let other staff know there's a shoplifter about (these include “the windows need cleaning," “Any black bags in dispensary?" and merely paging a non-existent 'Robert'). Then he has a couple posts on 'Dubious Pharmacy Facts" which are truly hilarious. These wacky entries include such 'dubious facts' as "Methadone is also available as a brand called ‘I can’t believe it’s not Methadone’. This has fewer calories." There are some less dubious, but funny in context, facts--such as "OTC medicines are effective." Almost all his posts come in list forms, so they're easy, quick reading--and never get you too roiled up about the state of healthcare reform or rude customers. And finally--for the moment-- Counsel Me, by the Frantic Pharmacist. He finds cause to return to ranting in various pharmacy-related events, from patient complaints about co-pays to lost paperwork to E-scripts to pharmacists writing prescriptions for medications. As he aptly puts it, "We already have a multitude of prescriptions written by non-M.D. prescribers, and to be honest, I think I am at least as qualified as some of them to offer someone an ounce of triamcinolone cream or some 600mg ibuprofen tablets." He adds, “ . . .at this point in my pharmacy career I've probably seen hundred of thousands of prescriptions and inpatient orders --- and I HAVE been paying attention." And that's what this blog--and in fact all of the above blogs--are about: pharmacists paying attention, and then writing about what they've observed, so they can share it with those in their profession, and beyond. It's paying attention, and using that material, whether in a serious vein, a profane way, or by mining it for comic relief, that makes these blogs superior. Because pharmacists work hard and contribute a lot, and their take on their profession and the healthcare system in general is valuable. As the Angry Pharmacist tells us, pharmacists don't "just count by 5′s all day while watching Dr. Oz and drinking coffee." They play a vital role in healthcare provision, so spend some time with them, and hear firsthand what life is like on the other side of the pharmacy counter. This is information-rich resource giving information about the inner working of pharmacy side of the healthcare system. Various experiences are shared over here in various pharmacies and different pharmacists are included in the article. Its really nice blog and informative too, about various pharmaceuticals and advice on this profession really nice. This definitely made my day! Thanks so much for including me in your list, totally blushing. And thank you for introducing me to a couple of new awesome writers! 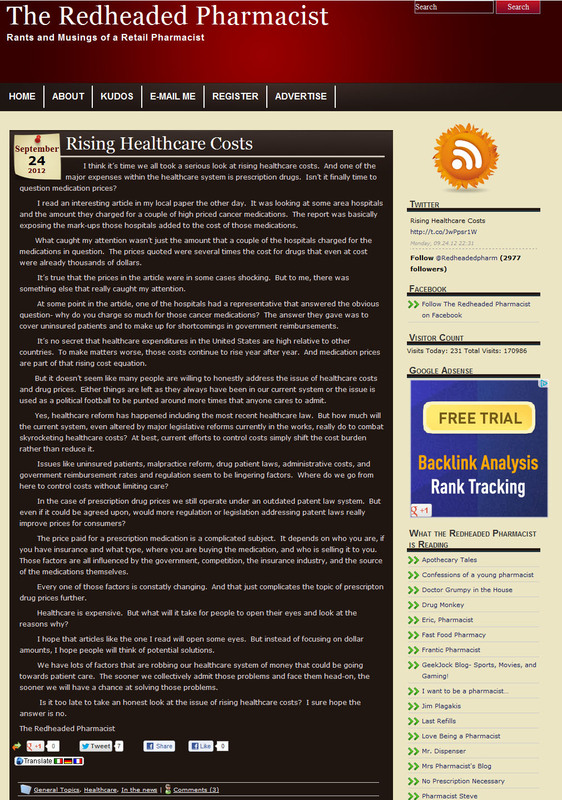 Check out: elitemedbiz.com Medical Billing Outsourcing info by a medical doctor!